All businesses must report their annual taxes to IRS. Companies have to choose a tax return according to the type of entity: 1041 series is used to report income by estates and trust, partnerships submit returns from series 1065 and corporations use a variety of forms and schedules in 1120 series. U.S. Corporation Income Tax Return is used by corporations for reporting annual taxes. U.S. Return of Partnership Income is used by partnerships for reporting annual taxes. Use this form to authorize a signature for an e-filed return filed by an electronic return originator (ERO). Alternative Minimum Tax - Corporations is used by corporations to calculate their alternative minimum tax (AMT) under section 55. Notice of confirmation that a legal entity has been granted an employer identification number, or EIN. Every individual who conducts business must report their annual income and pay obligatory taxes. The Internal Revenue Service is an agency which receives all reports and appropriately processes them. Accordingly, every corporation is bound to opt for an entity tax return. There are special forms for every type of entity. 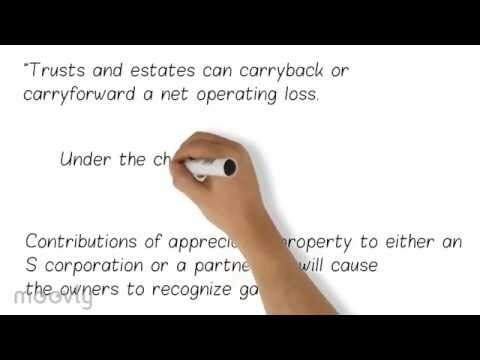 Statements from series 1041 are used by trusts and estates. The forms from Series 1065 are designed for partnerships, and Templates 1120 are to be filed by huge corporations. We will now discuss every entity tax return form in detail. Form 1041 has a particular title, U.S. Income Tax Return for Estates and Trusts. Generally, there are 29 points to accomplish which are included in such sections as Income, Deductions, and Tax and Payments. There are also Schedules A, B and G. They are accordingly determined as Charitable Deduction, Income Distribution Deduction and Tax Computation. There is a block in the form for Other Information. Another statement that refers to entity returns is U.S. Return of Partnership Income (1065). It includes more fields where an applicant fills in the information about the partnership. There is a place for an electronic signature. Form 1120 is the last one. It is the U.S. Corporation Income Tax Return. Apart from the standard Income and Deductions sections, there is also the block named Tax, Refundable Credits and Payments. The template includes Schedules C, J (2 Parts), K, L, M-1 and M-2. All these forms for entity tax returns can be found on the official IRS website with all necessary instructions and recommendations for submitting. An applicant can search for any other statement they are interested in on the same site.